With practicality at its heart, the Blomus AREO Wall-Mounted Soap Dispenser is a sleek steel accessory for your bathroom which allows for hygienic use and genuine functionality. 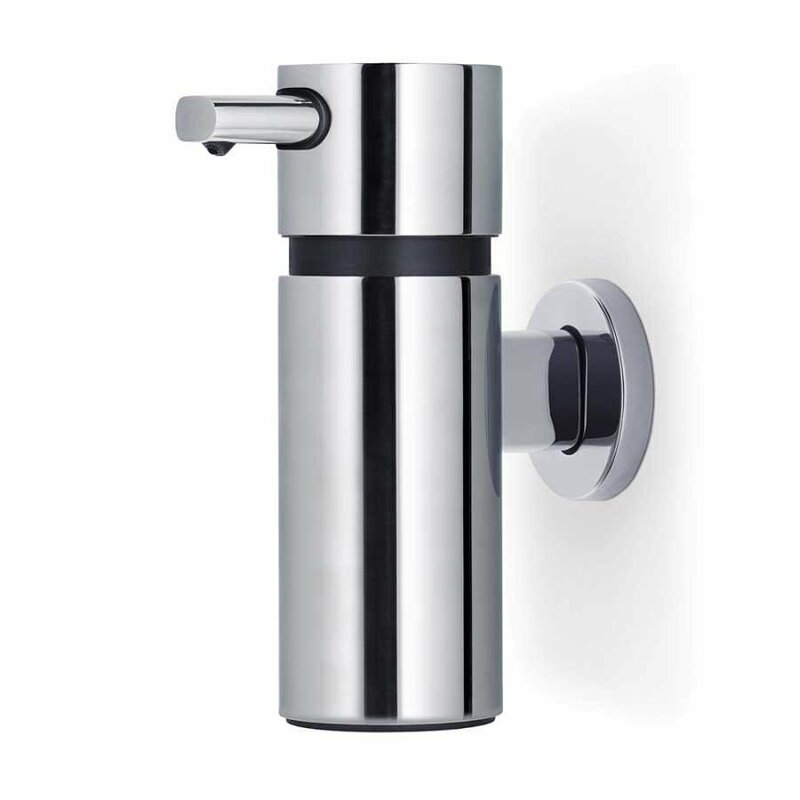 Constructed with the care and attention Blomus are known for, the Wall-Mounted Soap Dispenser is part of the much larger bathroom collection from Blomus, with the AREO branded products covering many different pieces within the bathroom. 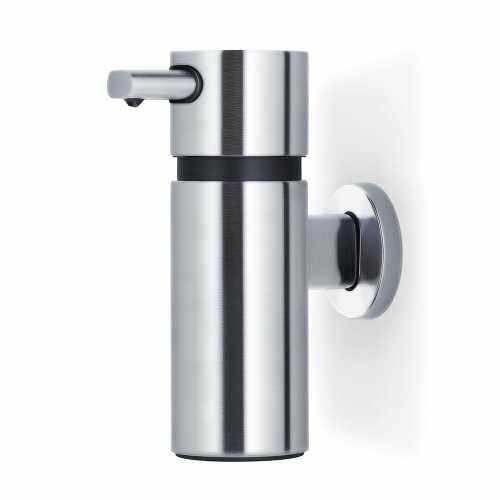 The AREO Wall-Mounted Soap Dispenser can be finished in matt stainless steel or polished stainless steel and its appearance combines both black elements which contrast with the sleek steel. The wall mounting fixtures and fittings are provided and it is easily positioned anywhere you choose on your walls, for convenient access to hand soap or other pump-access cosmetics and soap products. The Blomus AREO Wall-Mounted Soap Dispenser has a projection of 11.5cm from the wall as well as a height of 16.5cm and a diameter of 5.5cm. A large opening makes filling the dispenser simple and it holds up to 220ml of soap for your use. If you would like to find out more about the company behind this product and view their wider range please visit our dedicated Blomus page.